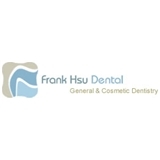 Frank Hsu DDS, Inc! (San Carlos) - Book Appointment Online! Our dental practice focuses on patient’s quality of care by committing to deliver the best service with advance technology. Our philosophy is to educate patients and to maintain their oral health through latest research and clinical techniques. Our practice specializes in family and cosmetic dentistry. We accept most insurance PPO contracts for payment and utilize services such as CareCredit to help patients finance their dental treatment. Additional languages spoken by either Dr. Hsu or staff are: Spanish, Chinese, Hungarian, and Taiwanese. Dr. Hsu is very friendly, makes kids feel comfortable during operation. Office staff are very helpful and knowledgeable. Very pleasant environment. Really enjoy our visit.